Tiffany graduated from McMaster University with a Master’s of Science degree in Occupational Therapy, following a Bachelor of Science degree in Biology at Queen’s University and a Bachelor of Science degree in Psychology at York University. Tiffany is a registered Occupational Therapist with experience in providing assessment, treatment and consultation services to children and their families. She has a passion for working with individuals with a variety of needs, and is committed to providing evidence-based, family -centred care. Tiffany has experience working with children with various challenges, including fine motor, gross motor, sensory and self-care difficulties. She has completed a number of professional development workshops including the Handwriting Without Tears program, the Motor Right Along program as well as the Smart But Scattered executive functioning workshop. Tiffany has a passion for working with children to help them increase their independence and participation at home and in the community. Kali graduated from the University of Toronto with a Master of Science degree in Occupational Therapy, following a Bachelor of Science degree in Recreation Therapy completed at Dalhousie University. Kali is a passionate community-based Occupational Therapist who strives to enable children and families to participate in both meaningful and essential daily occupations. Kali uses an evidence-based and family-centered approach to guide her therapeutic interventions, which are targeted towards enhancing functional independence and overall quality of life. Kali has experience working with children and youth of various ages and abilities at school, at home, and in the community. As an Occupational Therapist, Kali has designed and facilitated individualized treatment plans using sensory integration and emotional regulation techniques; cognitive strategies, life skills, and social skills training; Handwriting Without Tears programs; as well as specialized equipment and assistive software. Kali has had additional training in Sensory Integration as well as the Cognitive Orientation to Daily Occupational Performance (CO-OP) approach and has had successful experiences implementing both with children, youth, and families. 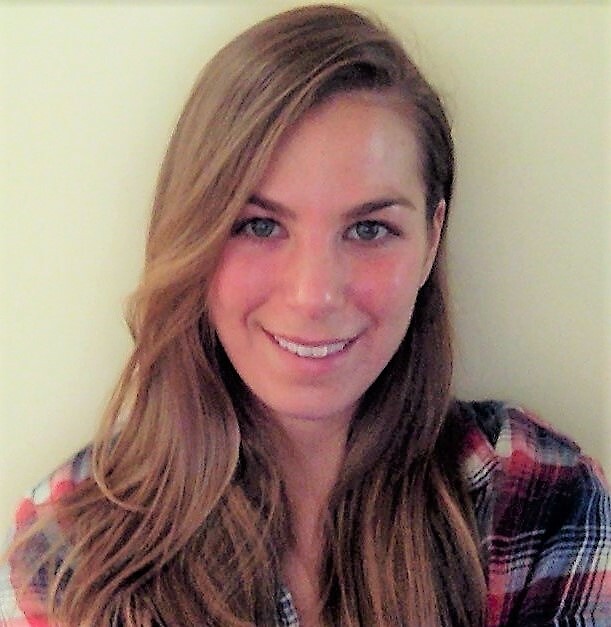 Kali is also a Certified Therapeutic Recreation Specialist and has past experience assisting children and youth to live independent and enjoyable leisure lifestyles. Kali is focused on incorporating “fun” into her therapy and enjoys developing positive, therapeutic relationships with each of her clients in an effort to discover new possibilities. Danielle graduated with a Master’s of Science degree in Occupational Therapy from McMaster University. Prior to this, she completed a Bachelor of Arts Degree with an Honors Specialization in Kinesiology from the University of Western Ontario. Danielle is passionate about working with children and their families in order to enhance their successful participation and engagement in the activities that hold meaning for them. Danielle’s professional experiences range from community practice to outpatient clinical settings, where she has had the opportunity to work with children of all ages, abilities, and exceptionalities. Danielle’s therapeutic approach incorporates a collaborative, family-centered feel as well as evidence-based interventions that are individually tailored to families’ needs. She is experienced in providing treatment and consultative services that address: self-regulation, sensory processing, fine and gross motor skill development, executive functioning difficulties, feeding issues, and accessibility concerns. Danielle is committed to life-long learning and professional development so that she can support her clients in the most meaningful and effective manner. 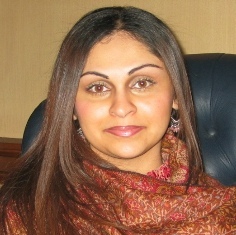 Tasneem graduated from the University of Toronto with a Master of Science degree in Occupational Therapy, following a Bachelor of Health Sciences degree completed at The University of Western Ontario. Tasneem is a registered Occupational Therapist who has been working as a community-based Occupational Therapist for the past ten years, providing occupational therapy services to children in various community settings (school, home and clinic) within the Greater Toronto Area. Tasneem specializes in enhancing and promoting healthy physical, social and emotional development in children. In particular, Tasneem focuses on improving fine/gross motor skills and sensory processing in children. On a daily basis, she provides Occupational Therapy intervention and consultation to children with a wide variety of diagnoses including mild to severe fine/gross motor difficulties, developmental delay, autism spectrum disorder, sensory processing disorder, cerebral palsy and Down’s syndrome. Discovering Abilities was founded by Tasneem. Pamela graduated from McMaster University with a Master of Science degree in Occupational Therapy, following a Bachelor of Science degree in Health and Disease completed at the University of Toronto. Pamela is a registered occupational therapist with a passion for working with children and their families to enable engagement in meaningful daily activities. She has experience working with children with a wide range of abilities and exceptionalities in the school and outpatient settings, including children with physical, learning, sensory processing and neurodevelopmental challenges. Pamela always uses a strengths-based, family-centred approach. She is committed to promoting the inclusion of all children in all settings. Pamela has training in various handwriting remedial programs such as Handwriting Without Tears, First Strokes and Motor Right Along. Pamela also holds a strong interest in sensory integration and dysregulation in children. She is trained in the Wilbarger Therapressure Protocol, the SOS Approach to Feeding, and has extensive experience setting up effective sensory diets in the school and home settings. Evelyn graduated from the University of Toronto with a Master’s of Occupational Therapy Degree, following an Honors Bachelor of Sciences degree completed at York University. Evelyn is an Occupational Therapist working with children and families to promote optimal participation in everyday activities, such as those related to school, play, and self-care tasks. Evelyn uses a family-centered approach and works with both the child and family to achieve goals. Evelyn has experience working with children of a variety of ages and abilities in school and home settings. Evelyn uses a number of different approaches based on her experience and training in Handwriting Without Tears programs, Neurodevelopmental Approaches, and Moving and Handling courses. Evelyn also has experience working with adults and children with various neurological conditions such as cardiovascular accidents, strokes, cerebral palsy and has knowledge in Neurodevelopmental and Bobath facilitation approaches. Evelyn is passionate about working with children and strives to make a difference in her clients and their families. Suzanne is an Occupational Therapist with several years of experience in providing occupational therapy services in home and school related environments and in a clinic setting. She earned a Master’s of Science in Occupational Therapy and a Bachelor of Science (Kinesiology) from Dalhousie University. Suzanne is exceptionally passionate about working with children and families to maximize children’s potential to participate in activities related to education, self-help, and play/leisure. Suzanne has experience working with children with varying abilities to promote the development of: fine/gross skills, self-regulation skills, and visual-motor skills to increase participation in school related and self-care activities. Suzanne incorporates a variety of approaches based on training and experience related to sensory processing, self-regulation, seating and positioning and fine and gross motor development. Suzanne has participated in training for the The Zones of Regulation.